June 20, 2015 – Sierra Nevada Corporation’s Dream Chaser engineering test article is being prepped for its second free-flight test at NASA’s Armstrong Flight Research Center in California later this year. The flight test is a milestone under NASA’s Commercial Crew Integrated Capability (CCiCap) agreement with SNC. The wings, windows and landing gear are installed. 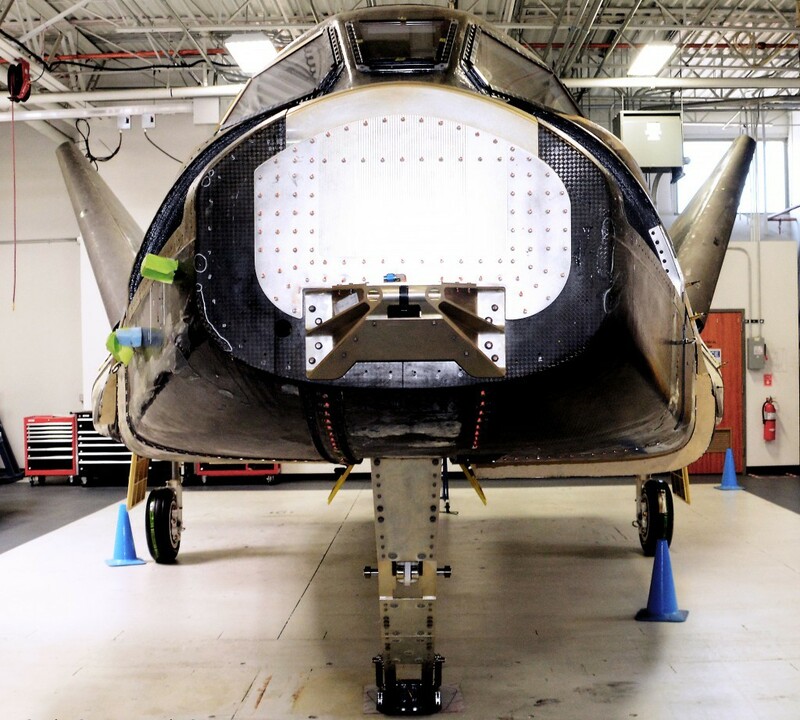 The Dream Chaser’s nose skid will have thermal protection system tiles on the vehicle, manufactured at Kennedy Space Center’s Thermal Protection System Facility, for the flight test. The performance of the tiles will be assessed following the touch down on the runway. SNC will share their thermal protection system work and a status of the Dream Chaser spacecraft next week. SNC’s Dream Chaser is a multi-mission-capable space utility vehicle that is able to flexibly operate as an independent science platform, logistics enabler or orbital servicing vehicle with the ability to deploy, retrieve, repair, replace, refuel or assemble items in space. Dream Chaser provides the only reusable, lifting-body spacecraft with a commercial runway landing capability, anywhere in the world – offering safe, affordable, flexible and reliable transportation to space. Sierra Nevada Corporation’s Space Systems business area based in Louisville, Colorado, designs and manufactures advanced spacecraft, space vehicles, rocket motors and spacecraft subsystems and components for the U.S. Government, commercial customers, as well as for the international market.